From the quiff right through to the pompadour, some of the 20th century’s most iconic styles owe their existence to hair pomade. This sleek ‘n’ slick wonder substance can do great things for your ‘do, but too much makes a greasy mess. Discover how to properly use pomade and your hair will thank you (in volumes). So, what is hair pomade? Disciples of the tousled bed-head, look away now: pomade is all about control. Best used on short to medium length hair, consider it a go-to for creating slick, structured styles with plenty of shine. 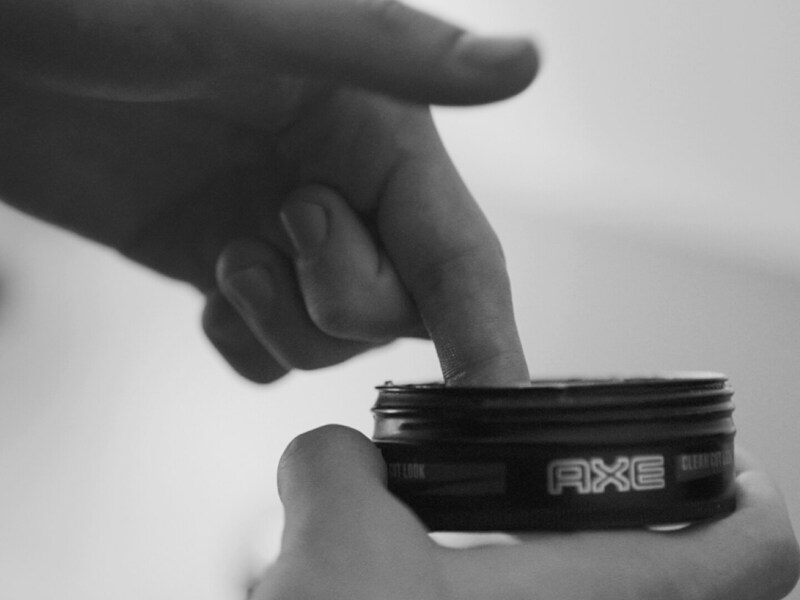 Axe Clean Cut Look: Classic Pomade gives medium hold and the signature shine of a true pomade. From King Louis XV’s court to 1950s greasers and rockers, pomade hairstyles have historically signalled drama, glamour and a hint of danger in their wearers. 20th century men in particular had big love for pomade, using it to fashion edgy ducktails and slicked-back pompadours in the heyday of rock ‘n’ roll. Fast forward to now and the pompadour’s a big hit with actors, rockstars and sportsmen. Worn short on the sides and swept upwards towards the back, this look needs the hold of pomade to achieve its height. Don’t have the length on top to go full pomp? Try a quiff. Or, give a long undercut a retro twist with a rockabilly style. Pomade also wins at the slicked-back, 1920s look. Best for short hair, comb it back or go for a side parting: either way, you get a sleek style that works in the boardroom or bar. It’s best to apply pomade to dry hair. Wet hair just won’t stick. How much you apply depends on your hair type and style. Pomade’s great for adding volume to thin hair, but works on thicker hair too. 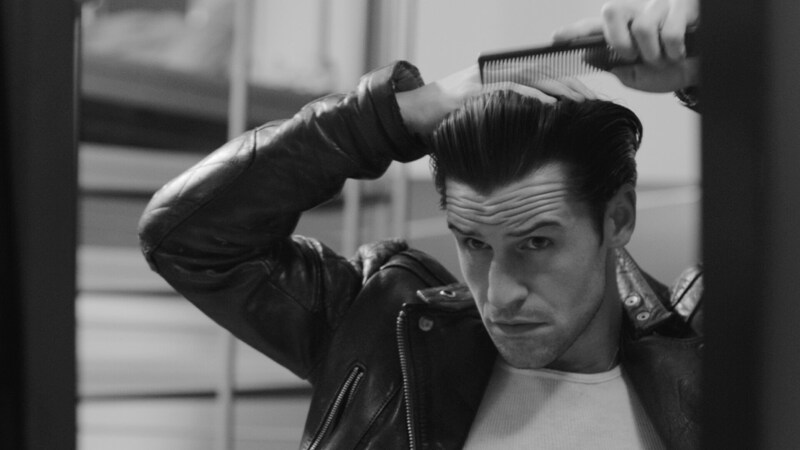 Just don’t overdo it: too much will turn you into a modern-day greaser for all the wrong reasons. Our advice? Start with a fingertip amount. If it turns out you need extra, add it later: 'less is more' is your mantra when first starting out. If you apply too much pomade, your hair can get too greasy. If this happens, use a blow drier; hot air will melt any excess product. Much better than washing your hair and starting all over again. Rub the pomade into your hands, then rake your fingers through your hair from the roots to the tips. You want to get an even coverage so you don’t miss the bits you can’t see. Now grab a comb and get styling. Want a wave? Comb the hair to the side first, then straight back. Hair cream, also known as styling cream, adds a subtle, natural-looking shine to hair. A messy, matte, bedhead needs a product that’s light, but still gives hold: nothing’s worse than a surfer-style look that can’t handle the wind. A proper blow dry can leave hair looking shiny and healthy, with great body and movement.